As a large construction firm, we are aware that we do not operate in a vacuum and that it is important to have a solid anchoring in society. It is therefore our intention to give something back to society on a regular basis. We want to build a better world and in 2017 we took impressive steps to achieve this goal. We are proud of our contribution to shaping the Belgian chapter of the charter of the United Nations that formulates 17 sustainable development goals. 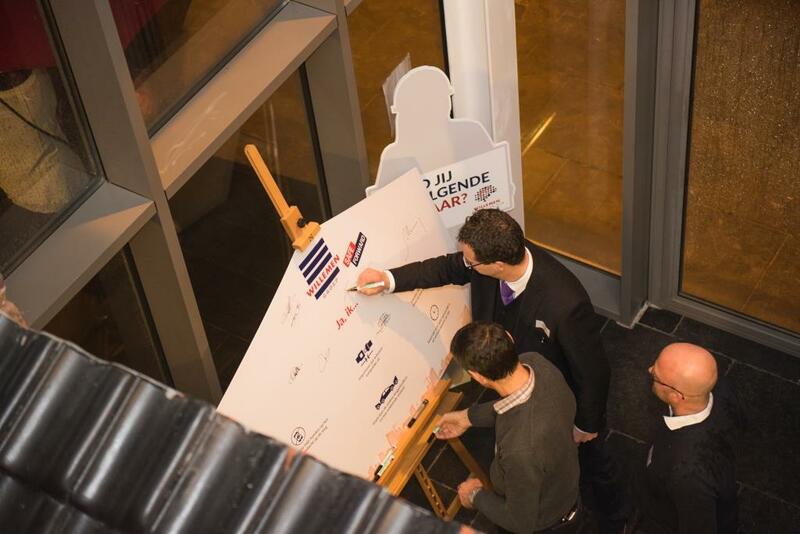 WILLEMEN GROEP was one of the first Belgian companies to sign this charter. These goals, or abbreviated, the SDGs (Sustainable Development Goals), are a list of 17 working areas. It is the United Nations' intention to solve or change all these areas by 2030. In this respect, the UN has made an appeal in the private as well as the public sector for participants who want to help them realise these goals. Willemen Groep didn't hesitate and soon expressed a commitment. As a group, we believe strongly in collaborating on action points that can transform our world and make it a better place for everyone. To obtain an overview of the 17 goals, we divided them into four clusters: inequality, health, equal opportunities, and the environment. The following is our overview of how Willemen Groep is taking action to help achieve these goals. Inequality often starts with poverty. People who live in poverty generally have limited access to education and other public institutions, they are often the victim of social discrimination and have no voice in political decision-making. To counter this inequality, it's important that everyone around the world has the opportunity to work in decent working circumstances. Willemen Groep contributes by offering everyone the opportunity to work for our group. Employment abroad: Willemen Groep has been increasingly active abroad. Some countries only have a limited or even no social safety net. Our ambition is therefore to recruit local staff where possible and offer them decent employment conditions. We often provide additional training for local workers so they can grow in their profession and perfect their skills. Insertion companies: Willemen Groep has an active policy for the social economy. Some of our companies are recognised as insertion companies, an acknowledgement that you receive when you have demonstrated active involvement in giving long-term unemployed people long-term employment. The employees who work in this system do not hold a secondary education diploma. IBO and GIBO employees: A number of employees work in the IBO (Individual Vocational Training for Job Seekers) or GIBO (Specialised IBO for people with an occupationally disability) system. These employees receive internal coaching and further training so they become fully-fledged members of our company. Equal opportunities in the recruitment policy: Willemen Groep believes it is extremely important that nobody is discriminated, negatively or positively, as a result of our recruitment policy. Only one principle counts: the best candidate gets the job. We do not distinguish between gender, race, ethnic origin, religion, age or sexual orientation. The fact that our employees have more than 30 different nationalities is a good indicator of this policy. Health is a topic that we take for granted until we are faced with the opposite. The construction sector is a dangerous working environment with accidents waiting to happen. For this reason, we organise awareness campaigns on a regular basis and use several tools to remind our employees of the seriousness of this topic. GO FOR ZERO: Every accident is one too many, and our goal is to reduce the number of industrial accidents with lost working time to zero. Besides our permanent safety campaign GO FOR ZERO, the group also invests heavily in additional training. Training days are held annually for our builders and road workers. In addition, they must also attend the monthly toolbox meetings on their site. They are informed during such meetings about a wide variety of subjects and briefed about actual hazards. "Every accident can be avoided and everyone has a role to play: from the builder to the site or project manager and management." Safe Forward: The responsibility of our employees does not stop when they leave the office or close the site gates behind them. We also ensure that our staff is adequately informed and aware of dangers on the road. Belgian statistics indicate that half of all deadly industrial accidents in our country occur on the roads. Since 2016 we have begun focussing more on this theme with our road safety campaign Safe Forward. Potable water and hygienic sanitary facilities: Drinking water is a basic right, however, more than 2.1 billion people in the world still have no access to clean water. 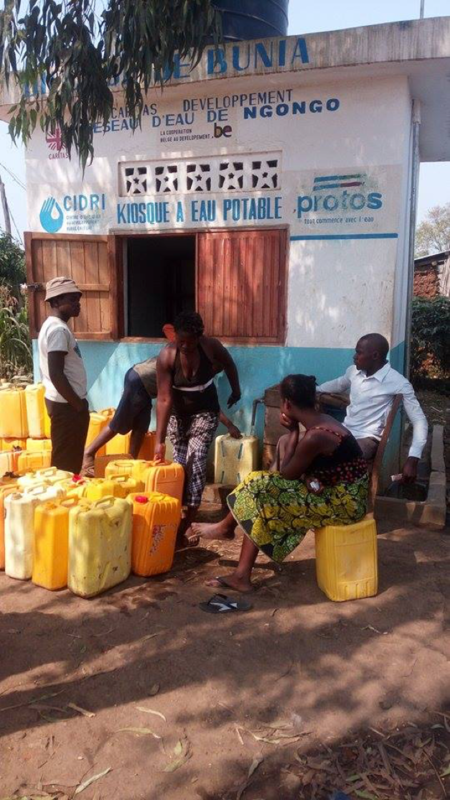 Willemen Groep supports the NGO Protos, via Entrepreneurs for Entrepreneurs, with a project in East Congo. The programme includes the building of 10 water kiosks and the installation of sanitary facilities in various schools. "Integrated water management is a prerequisite for entrepreneurship. Local entrepreneurship is not possible without sustainable technologies and a reliable infrastructure." "Via the NGO Protos, we have been collaborating to improve water management in several countries for some time." Healthy employees: Achieving and maintaining a healthy lifestyle is a difficult assignment. Many consumer goods contain sugar, many people like to drink alcoholic beverages, and smokers can still be seen on our streets. So we believe it is important to organise initiatives to reduce these habits within our corporate environment. Our first initiative consists of giving all our employees a water bottle as a gift on their first workday. We want to encourage them to drink water instead of sugar-containing drinks. We also think it's logical that the consumption of alcohol is forbidden during working hours. And last but not least, all group premises have been non-smoking areas since 2017. This means the office buildings, site sheds, all work spaces and also the areas around the offices are all non-smoking. Decent education is an essential prerequisite to improving people's living standard and to be able to build a sustainable society. Education is still a privilege in too many places around the world. In many countries, this means education is often a male privilege because women are denied access to educational institutions proportionally more often. It's an injustice that needs to be eradicated urgently. Our group attaches great importance to continued learning without any form of discrimination. Youca: Youth for Change and Action – previously known as the South Day – is an organisation for and by young people that encourages them to collaborate on a sustainable and fair society. On Youca Day, about 15,000 secondary school pupils between age 15 and 18 go to work for businesses. Their daily pay goes to projects to support young people abroad. Willemen Groep is pleased to be able to fill many vacancies on that day to support Youca. Willemen Academy: Willemen Groep is committed to giving its employees every opportunity to develop further. In this context, we began Willemen Academy, an in-house training institute for our staff, in 2012. We want to expose our employees' maximum potential and let them grow with the company. The Academy offers them the opportunity to follow a two-year Master Class or an Advanced Master Class. 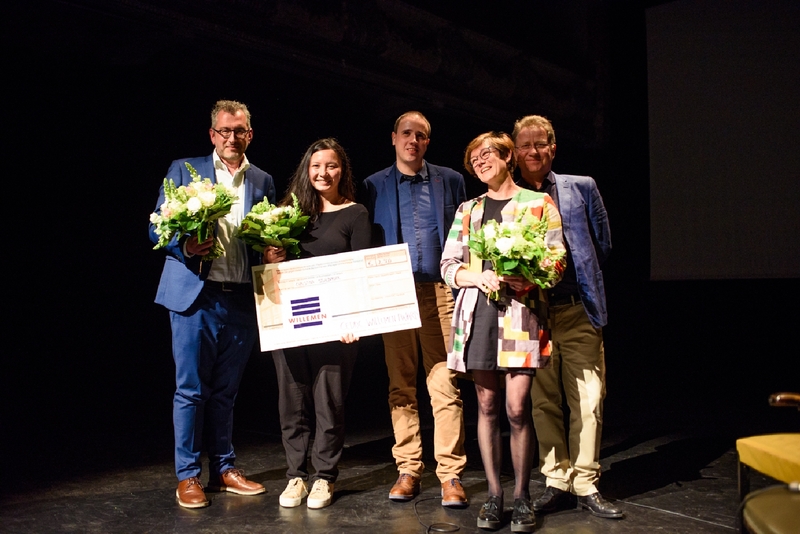 Cedric Willemen Award: Every year, Willemen Groep, in cooperation with Contour and the arts centre nOna, gives an award to a promising young audio-visual artist. The winner of the award receives a cash prize and coaching by nOna. This is our way of encouraging film-makers to develop their art further. "Giving young talent opportunities and helping them grow is a core value of Willemen Groep's corporate culture." We must take measures urgently to safeguard our climate. Our planet is suffering under the burden of pollution and contamination. Animals and plants struggle, and species are disappearing at a rapid pace. Investments in sustainable energy and green infrastructure are needed urgently around the world. A change of mentality is needed to raise the awareness of how we should organise our lifestyles and consumption patterns. This is a global theme, and we can only make a difference if global awareness grows and we live on our planet in a more sustainable manner. Willemen Groep has been aware of these issues for a long time, and we try to make a difference, where possible, through a whole range of initiatives. 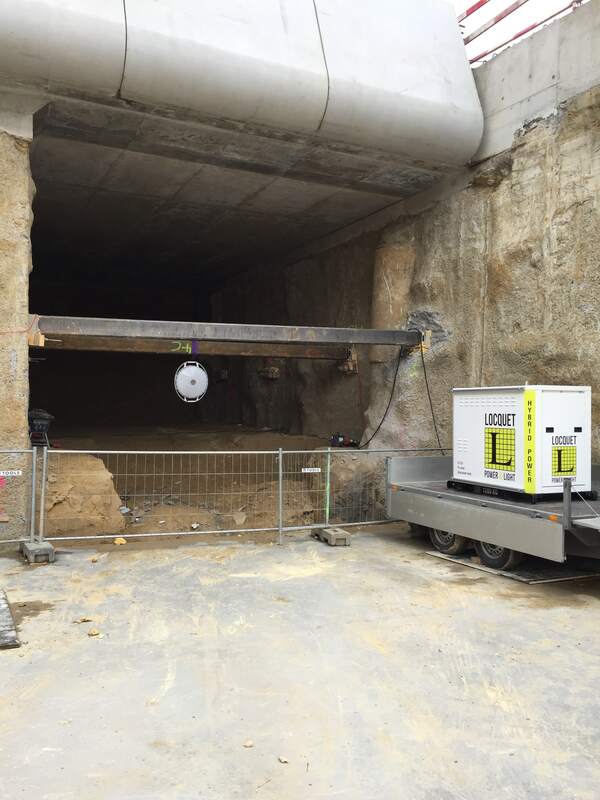 Hybrid battery packs: On our construction sites, we are using more and more hybrid battery packs to store excess energy more efficiently. We store the excess energy with a generator (or hybrid battery pack) in an external battery. The battery continuously supplies power, and the generator only starts up if there is a high energy demand. This is how we use energy more efficiently, generate less CO2 emissions than with a diesel generator, and produce less noise. Environmental management: Many of the actions Willemen Groep undertakes for the environment are part of our environmental management system ISO14001. This consists of a series of international, voluntary environmental management standards, norms and guides that are provided for companies so they can organise their environmental management more effectively. BREEAM: BREEAM stands for Building Research Establishment Environmental Assessment Method. It's a method, developed by the British Building Research Establishment, for objectively evaluating and rating the sustainability of construction projects. Willemen Groep continues to deliver more and more buildings with a BREEAM certificate of 'Very good' to 'Excellent'. One of these completed construction projects is Campus South of Karel de Grote University College in Antwerp. This was also the first ever school building in Flanders to be delivered with this certificate. The Belgian embassy in the Moroccan capital Rabat will also have this label. Passive buildings: Willemen Groep continues to develop its expertise in passive construction. Passive buildings are very energy-efficient buildings that offer optimum comfort in the summer and the winter. The energy demand for this type of building is very low but the construction does require significant expertise. 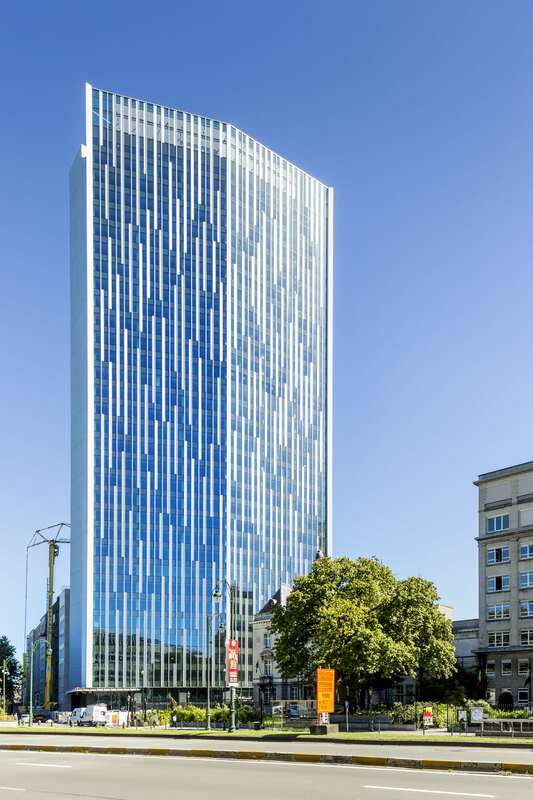 The Astro Tower, the embassy in Kinshasa, and the sports centre Nelson Mandela in Neder-Over-Heembeek are a few examples of passive buildings realised by Willemen Groep. 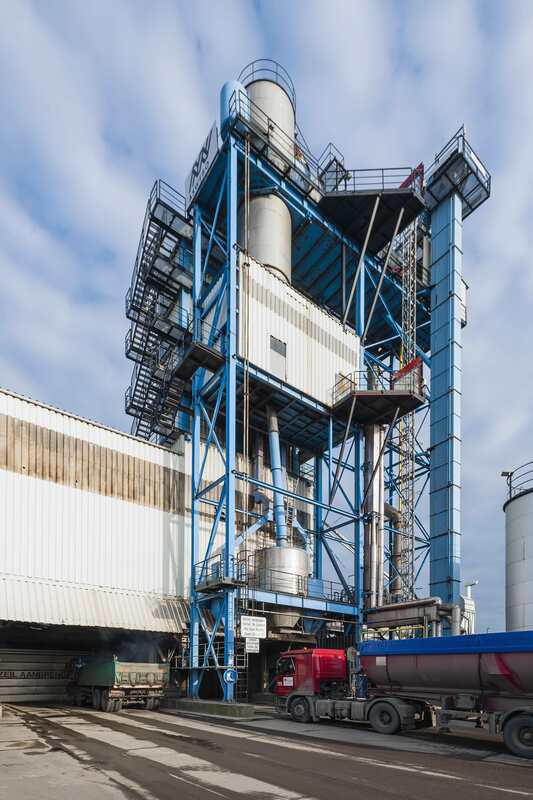 Own asphalt production plants: Willemen Groep has five asphalt production plants which have all been converted to gas in recent years. Our group believes it is important that our impact on the environment is kept to a minimum. Our installations must therefore meet the strictest requirements with respect to sound, odour, and emissions in the soil and air. Moreover, Aswebo was the first company in Belgium to receive certification for Low Temperature Asphalt. Low Temperature Asphalt is an environmentally friendlier variant of standard asphalt because it is produced at a lower temperature. Bee hives: Things are not going well with the bee populations in our regions. These populations are currently declining before our very eyes: in recent years, an average of 30% of the honey bees have died. In fact, honey bees are essential for maintaining our ecosystem and biodiversity. 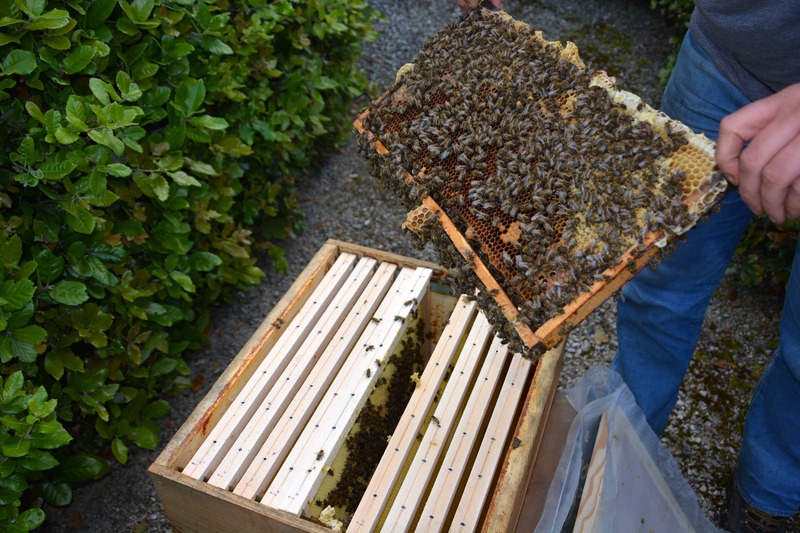 As a socially responsible player, Willemen Groep decided to install two bee hives at our head office. Car Free Day: Participating in the Car Free Day has been an annual tradition for several years. 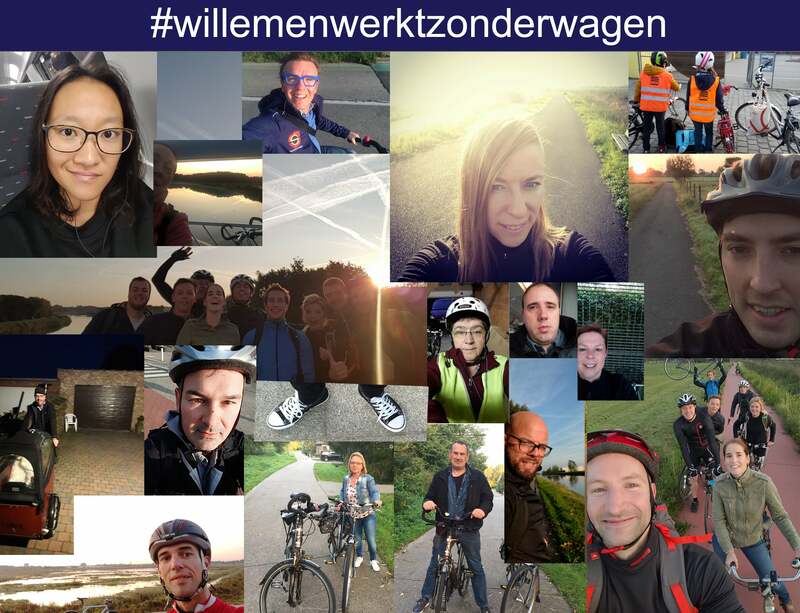 We try to encourage as many employees as possible to leave their car home on that day and to choose an alternative mode of transport: the bicycle, walking, public transportation or car-pooling. We reward our employees' efforts, among other things, with a healthy lunch. Green transportation: Employees can make use of two company bicycles to go to meetings near the workplace or for short trips during lunchtime. Employees who are entitled to a company car can choose environmentally friendly alternatives: we currently have hybrid and CNG cars available in our fleet. We also encourage employees with a company car to take the bicycle whenever possible. We encourage this by offering them a mileage allowance if they leave their car in the garage. Implementing changes at a global level is not possible without partners. Here we would like to mention our partners who help our group contribute to building a better world. The Flemish Employers Network VOKA recognises that companies make significant contributions to achieving our sustainable development goals. To encourage this, they launched the VCDO label which stands for the Voka Charter for Sustainable Entrepreneurship. The label is awarded to companies who contribute actively and focus their policy on making the 17 development objectives feasible. Willemen Groep is proud to bear this label since 2017. We also communicate this initiative to the outside world by adding this label to our e-mail signature. This is to inform our stakeholders of the sustainable initiatives that companies can participate in, because at the end of the day we all have a responsibility to contribute to a better world for everyone.